Awarded First Prize, in the Primary health care category, at the 2013 BMA Medical Book Awards. Following the familiar, easy-to-use at a Glance format, this brand new title provides a highly illustrated introduction to the full range of essential primary care presentations, grouped by system, so you ll know exactly where to find the information you need, and be perfectly equipped to make the most of your GP attachment. 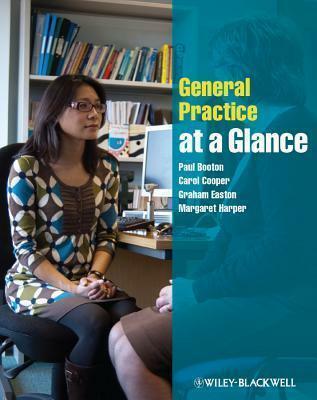 General Practice at a Glance: * Is comprehensively illustrated throughout with over 60 full-page colour illustrations * Takes a symptoms-based approach which mirrors the general practice curriculum * Offers one-stop coverage of musculoskeletal, circulatory, respiratory, nervous, reproductive, urinary, endocrine and digestive presentations * Highlights the interrelations between primary and secondary care * Includes sample questions to ask during history taking and examination * Features red flags to highlight symptoms or signs which must not be missed This accessible introduction and revision aid will help all medical students and junior doctors develop an understanding of the nature and structure of primary care, and hit the ground running on the general practice attachment. Following the familiar, easy-to-use at a Glance format, this brand new title provides a highly illustrated introduction to the full range of essential primary care presentations, grouped by system, so you'll know exactly where to find the information you need, and be perfectly equipped to make the most of your GP attachment. This accessible introduction and revision aid will help all medical students and junior doctors develop an understanding of the nature and structure of primary care, and hit the ground running on the general practice attachment.